“Mar-tee-a, come please.” The woman moved her hand under Martha’s shoulder and rocked her forward. Martha sat up, banging her head on the low ceiling. In the dim light, it was impossible to make out much, but there really was someone on the bed. Martha didn’t scream, because this wasn’t real. A crazy dream. Glen would be yanked from sleep if she gave in to hysteria and then he would be grouchy all day. When Martha’s spirit guide arrives before dawn and leads her back to the ancient land New Mexico, she knows this is a dream. Why would these people of the canyon imagine she could help them face the drought, or the persecution of the mysterious Man-with-Three-Spirits? But her husband Glen faces a different dilemma. Why can’t the doctors explain why Martha won’t wake up? 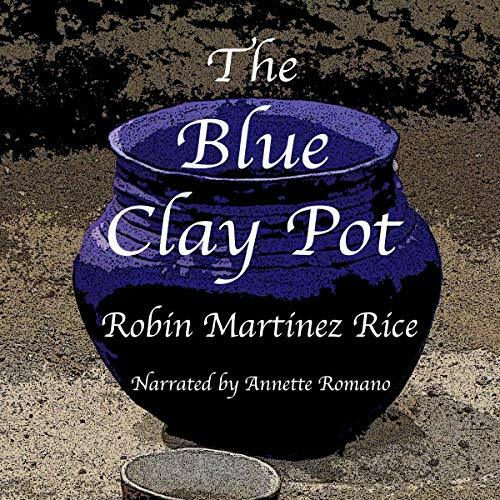 In The Blue Clay Pot, author Robin Martinez Rice weaves past and present into a vivid, compelling and enthralling narrative. Fans of Imperfecta and Hidden Within the Stones will enjoy this tale of time travel, magic, and love.